The Combined Defence Services (CDS) exam consists of a written test as well as a week-long interview. The Combined Defence Services Examination (CDS) is conducted twice a year by the Union Public Service Commission for the recruitment in the Indian Military Academy, Officers Training Academy, Indian Naval Academy and Indian Air Force Academy.Those candidates who get selected after the written exam are then called for an interview by a Services Selection Board (SSB) which evaluates a candidate's suitability for a career in the Indian Armed Forces. The SSB interview lasts for approximately a week, during this perioda candidate undergoes various physical and psychological tests to ascertain whether he is an officer material or not. Apart from SSB interview, candidates applying for Air Force academy are tested for Pilot Aptitude Battery test (PABT). After these tests, candidates undergoes medical examination before finally admitted into the above mentioned academies, and after successful completion of training, they are inducted into the armed forces. Following is the list of services to which candidates can get recruited after appearing for the Common Defence Services -Indian Military Academy-Officers Training Academy-Indian Naval Academy-Indian Air Force AcademyThe eligibility criteria for Indian Military Academy/Officers' Training Academy is a Degree from a recognized university or equivalent. For Naval Academy, the degree for the candidates required is Bachelor of Engineering while for Air Force Academy, the degree of a recognized University with Physics and Mathematics at 10+2 level or Bachelor of Engineering. For CDS exam, applicants can be from any stream but for entry to Air Force and Navy, candidates should have studied physics and Maths up to Class 12Age limit for the CDS aspirantsIndian Military Academy-19-24 yearsAir Force Academy-19-23 yearsNaval Academy- 19-22 yearsOfficers Training Academy- 19-25 yearsOnly unmarried graduates are eligible to sit for the examAcademic qualifications for the CDS aspirantsIMA & OTA - Degree of a recognized university or equivalentNaval Academy - BSc with Physics & Mathematics or Bachelor of EngineeringAir Force Academy - BSc with Physics and/or Mathematics or Bachelor of EngineeringCandidates appearing at the degree or equivalent examination are also eligible to compete. Candidates will be required to submit the proof of passing the requisite qualifying examination by a date to be specified in the Commissions Notice for the Examination. Candidates should be physically fit as per the physical standards for admission to the Combined Defence Services Examination.The entrance for Combined Defence Services comprises a written exam followed by Intelligence and Personality Test. 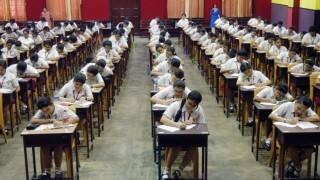 The papers in all the subjects will consist of objective (multiple choice) type questions only. 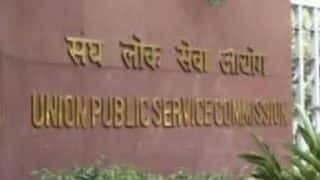 Applicants will be called for an interview, or personality test, after successful completion of the written exam.The Union Public Service Commission (UPSC) declares a qualified list of candidates based on the written exam. If selected, candidates will need to appear before the Service Selection Board for an Intelligence and Personality Test.The type of interview depends upon where you are applying to apply. For the Officers Training Academy the marks is 200 marks while for IMA, Naval and Air Force the total marks is 300 Candidates for the Air Force wing and Naval Aviation will also undergo a Pilot Aptitude Test. 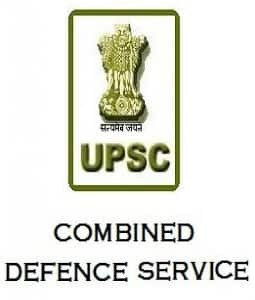 The two-stage selection procedure is based on a Psychological Aptitude Test and Intelligence Test.A candidate interested in appearing for Combined Defence Services should log on to UPSC official website to access the home page of the online application.Candidates should apply for the CDS examination only when it has been notified by the Commission. 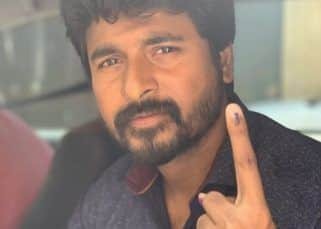 Candidates will also be able to find the detailed information and application procedure on the official website and 'Employment News'.Interested candidates need to upload the latest scanned photograph at the time of online registration. While filling the application candidates should ensure that they fill the entire application form otherwise the application might get rejected. There are many ways in which the candidates can pay the fees by three options. i) Pay by Cash in any branch of State Bank of India, ii) Pay by credit/debit Card andiii) Pay by Net Banking facility of SBI. Candidates appearing for Combined Defence Service Examination (CDS) generally get their results after two months. 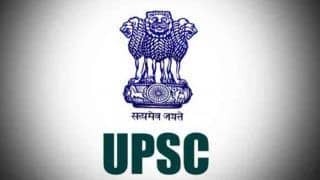 The results of the exam gets published on the official website of UPSC. An aspirant of Combined Defence Services (CDS) should know about the salaries offered. The salary is given according to the rank of the officers. At the service academies a good stipend is also paid for the entire duration of UPSC Combined Defence Services I training. Pay is also given according to the qualification of the candidate. An army officer is also entitled to perks like subsidized accommodation, free medical treatment, Army Group Insurance, subsidized food at the canteen stores etc.